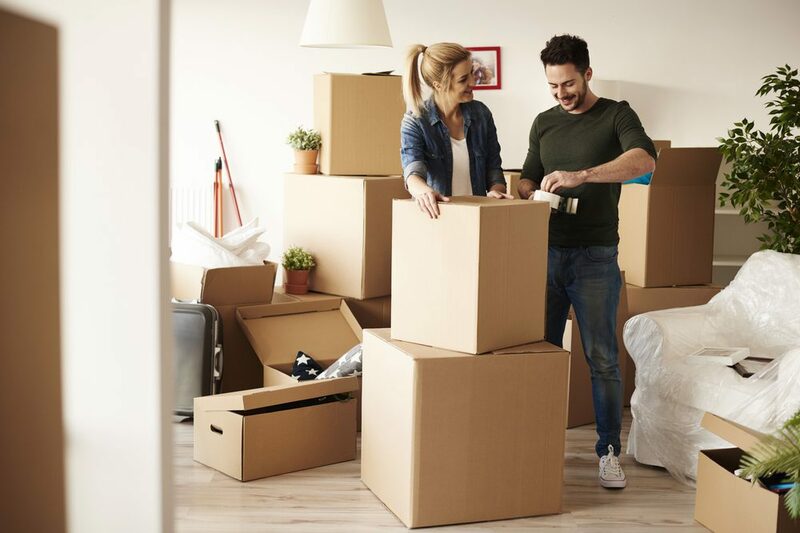 Moving into a new place is an exciting process, but one that can also be a bit overwhelming when you have an entire apartment or house to pack up. Portable storage and moving containers make moving easier by giving you complete control over the process. By being able to set your own pace for your move, you have the opportunity to pack up your home efficiently rather than just quickly. Here are our top tips and tricks for getting the most out of portable moving containers to make your next move a breeze. It’s always a good idea to check the weather forecast before you have your Cool Box storage unit delivered. Moving in the rain or on the hottest day of the week can be a very unpleasant process, especially when it comes to unloading and loading. Take a look at the forecast for the week and try to pick a day with the best weather. Cool Box moving containers are insulated and maintain an interior temperature 10F to 15F degrees cooler in the summer or warmer in the winter. Not only will this make unloading more comfortable for you, but it also will help protect your belongings from temperature extremes. Moving into a new place gives you the perfect opportunity to declutter. Designate a corner of the room or a large plastic tote as the donate or throw away pile. While you’re packing up your home, discard whatever items you don’t want or will no longer need once you’re in your new place. There’s no point in moving any more items than necessary and if you declutter some large furniture, you might be able to save money with smaller moving containers. Every person who is moving should have their own overnight bag packed with any essential items they’ll need the night of the move and the morning after. Ideas of essentials to pack include PJs, a change of clothes for the next day, toiletries, towels, phone charging cables, laptops, and daily medications. If you’re moving with pets, don’t forget to have a bag with their food, dishes, leashes, and other important items. Don’t forget to keep these bags with you in your car rather than packing it into moving containers! Packing important items in clear bins is a similar concept to the overnight bag, but the items you’ll place here are typically larger. Items that go into clear bins include bedding, cookware and utensils, extension cords, paper towels, garbage bags, and basic hand tools. Using clear bins make it easy to see what’s inside without having to read labels, which is especially handy when portable moving containers are delivered later in the day and you don’t feel like unpacking until tomorrow. While packing up portable moving containers, it’s easy to forget that cleaning supplies should be at the front of the unit. Chances are after you’re done packing and loading you’ll want to do a final vacuum in your old place or wipe down some surfaces. Also, for peace of mind, it’s a good idea to do a quick cleaning of your new place before you start unpacking. Bedrooms, bathrooms, and the kitchen are perfect examples. Having cleaning supplies on hand also makes it easy to clean up spills, muddy footprints, dust from unpacking, etc. Labeling every box seems tedious, but it really pays off in the long run when you start the unpacking process. Rather than saving this task for the end, simply use a permanent marker to label each box as you pack and tape it. You can also use pre-purchased moving box labels – the choice is yours. Be sure to label your boxes on the sides rather than on top. Labeling on each side ensures you can find the box you’re looking for, even when a moving container’s loaded with stacked boxes. A great trick that can be used in conjunction with basic labeling is color-coding boxes. You can use color-coding in place of specific labels or use them together for maximum efficiency. Color-coding simply involves assigning one color to a specific room (i.e. green for kitchen and blue for bathroom). You can either used colored plastic totes or slap some colored tape on the sides of cardboard boxes. Color-coding really simplifies unpacking and ensures boxes end up in the right rooms. When you’re loading portable moving containers, you want to place things in order of least importance to most importance from back to front. This ensures that you’ll be getting to your most important boxes, furniture, and appliances first. It’s also a good idea to group boxes together by category rather than scattering them around. The previous labeling and color-coding tips will make this much easier. Boxes can shift in transport due to bumpy roads, sharp turns, and also when you are unloading your items. Organize, secure, and pack your boxes in the moving container to minimize this shift and to ensure a smooth unloading process. One helpful tip is moving containers should also be loaded with the most durable and heavy items on the bottom, with more fragile items on top. This helps prevent delicate items from getting broken during transport. Keep in mind that very sensitive items may be better transported in the safety of your own car, particularly photos or electronics that may be affected by cold or heat. If you’ve never used stretch wrap, you’re missing out on a tool that makes packing so much easier. Stretch wrap is a thick, durable plastic wrap sold by moving supply stores. It comes in various widths and is placed on a spool so you can easily wrap it around items. Stretch wrap is great for protecting furniture, especially keeping drawers and doors on tables, nightstands, and dressers closed. You can also use stretch wrap for just about anything that involves bundling an item, even for tasks like wrapping a kitchen drawer utensil tray to keep your forks and spoons from spilling in a box. A huge bonus of Cool Box portable storage and moving containers is that you have the option to store your belongings for as long as you need. If you’re in the process of moving and discover that some furniture you have might not fit in your new home or there are certain items you don’t want to get rid of, but you need more time to sort through, simply call up Cool Box and they’ll take care of you. Cool Box moving containers can be kept at your home or at their facility – the choice is yours. Packing folding clothes isn’t usually an issue, but dealing with hanging clothes can be tricky. An easy solution is to bag them while they’re still hanging. Simply pull up a large garbage bag around them, tying the bag closed around the top of the hangers with the hooks out. Once you’re in your new place all you’ll need to do is place them in the closest and slide the bag off, which you can reuse for trash later. Depending on how your moving container’s packed, you might want to place any clothing in bags in their own box for protection or in your car. Whenever you have to disassemble furniture or large furnishings (i.e. your television), it’s a good idea to place any hardware or cables in plastic baggies and tape them directly to the item. This prevents you from losing the plastic bags during your move. However, if you’re concerned that your moving container’s going to really be packed and the bags might come off, dedicate one box to only hardware and cables. Be sure to label the baggies! There’s nothing quite as frustrating as setting up your entertainment system after moving, especially when you’re not exactly technically-inclined. A super simple trick to prevent this from happening is to take a picture of the back of your television, computer, and other another electronic system before you start unplugging cables. Refer back to the picture once you’re setting it up again and you shouldn’t have any issues. Portable moving containers make it easy for anyone to move to a new place without a trucking company, but that doesn’t mean you can’t still lessen your workload by hiring pros. Cool Box takes care of transporting their moving containers, but you have the option to independently hire your own pro crew to help with packing or just loading/unloading. Often times this route is more affordable than hiring a moving truck company, plus the crew will be working for you rather than focusing on getting everything in their truck as quickly as possible. Moving into a new place should be as stress-free of an experience as possible. Portable moving containers make it possible for you to skip the hassle of multiple trips in your own car and the frustration of dealing with moving truck companies. 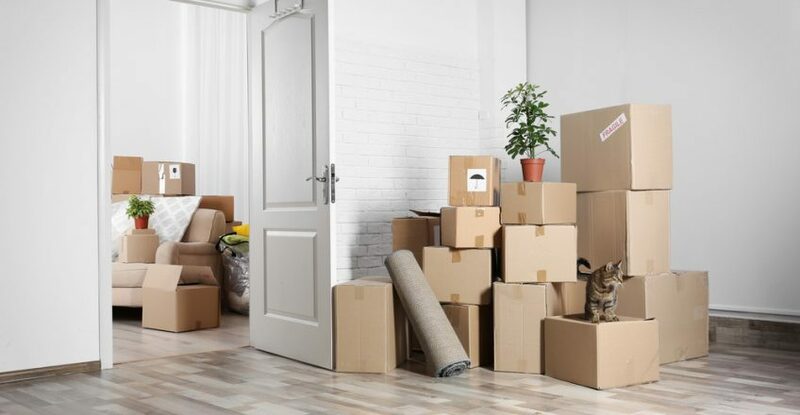 Combining the convenience of Cool box moving containers with taking full advantage of our featured packing tips and trick, we’re confident you’ll be ready for your easiest move yet. When you’re ready to get a Cool Box of your own, all you need to do is visit the Cool Box Customer Portal to get an instant quote. If you have questions about Cool Box portable moving and storage containers or simply prefer chatting with a person, you can get in touch with a Cool Box customer service rep at 1-888-943-8266.